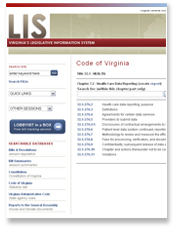 VHI works with private organizations and public bodies to use health data to meet the varied needs of the citizens of the Commonwealth. 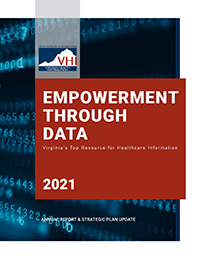 Whether we are working as a Virginia Patient Safety Organization to help, recognize and reward hospitals improving patient safety or helping senior citizens find needed care, VHI is working with groups to cost-effectively use health data to improve care and save lives. VHI's current ANNUAL REPORT AND STRATEGIC PLAN UPDATE relates VHI's accomplishments during the past year as well as our priorities-both in current and planned activities. Many challenges were faced; some remain to be addressed. None will be ignored.